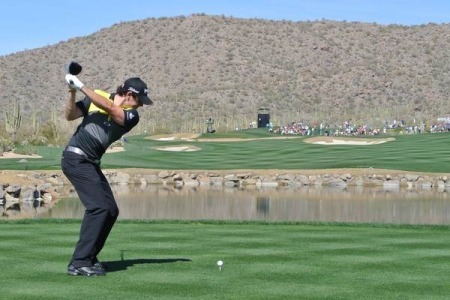 Bar the holidaying Phil Mickelson and the injured Paul Casey, all the favourites for the green jacket are in Tucson this week hoping to lay down a marker before they get to Augusta in seven weeks’ time. In the case of the world’s top three, there is a lot of stake with world number one Luke Donald in danger of losing his status as the game’s top player to Rory McIlroy and Lee Westwood, his immediate pursuers in the rankings. 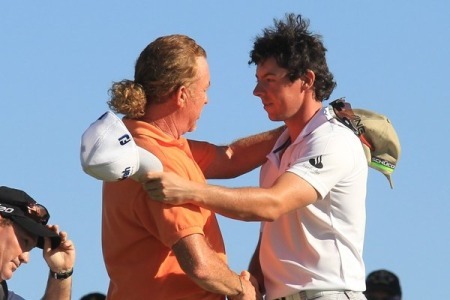 McIlroy knows that a maiden World Golf Championship victory would see him become the first Irish player to reach the summit of the game, providing Donald does not make it to the third round. But the temptation to look too far ahead is one that all three Irish contenders must resist if they are to make a run for the title with Graeme McDowell and Darren Clarke facing tough first round matches against YE Yang and Nick Watney respectively. As for McIlroy, the 22-year old US Open champion takes on 25-year old South African George Coetzee still stinging from successive second round defeats in an event where he burst onto the world stage with a run to the quarter-finals on his US debut in 2009. “I don’t know much about George but I’ve seen his name up on the leaderboard recently so he’s obviously playing very well,” said McIlroy, who was thrashed 8 and 7 by Ben Crane in the second round last year. “I’d like to get a good run in this event after getting beaten in the second round for the last couple of years but everyone’s dangerous. I got to the quarters in 09 and it would be nice to get a good run. If you make the weekend you never know what might happen from there. McIlroy would love to win in America for the third time but he’s looking at the big picture and his thoughts are on taking care of unfinished business in Augusta in April. Recent reports of fundamental changes in his swing are wide of the mark, he says. Keeping an eye on his fundamentals is what he’s working on as he faces a three week stretch before going into Masters preparation mode on the range. Like McIlroy, Clarke, McDowell and former number one Tiger Woods will head from Arizona to Florida for the Honda Classic and the WGC-Cadillac Championship hoping to play their way into form. If Woods recovers from his Sunday putting collapse at Pebble Beach and beats Spain’s Gonzalo Fernandez Castaño and Clarke sees off the excellent Nick Watney, they will meet tomorrow in a replay of the 2000 final of this event at La Costa, where Clarke won 4 and 3. All has changed in their world’s since then, of course, and Clarke is loathe to think further ahead than today as he bids to rediscover his Open winning form following six months of disappointing results. He blames his own high expectations for the fact that he has finished no higher than 20th since the Open but hopes that his weekend working with mental coach Dr Bob Rotella in Tucson will help him. McDowell believes he has finally shaken of the “hangover” of momentous 2010 season and win or lose against the “dogged” Yang, he’s prepared to be patient as the clocks ticks down to the Masters.